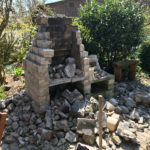 Just another DIY Blog . . . 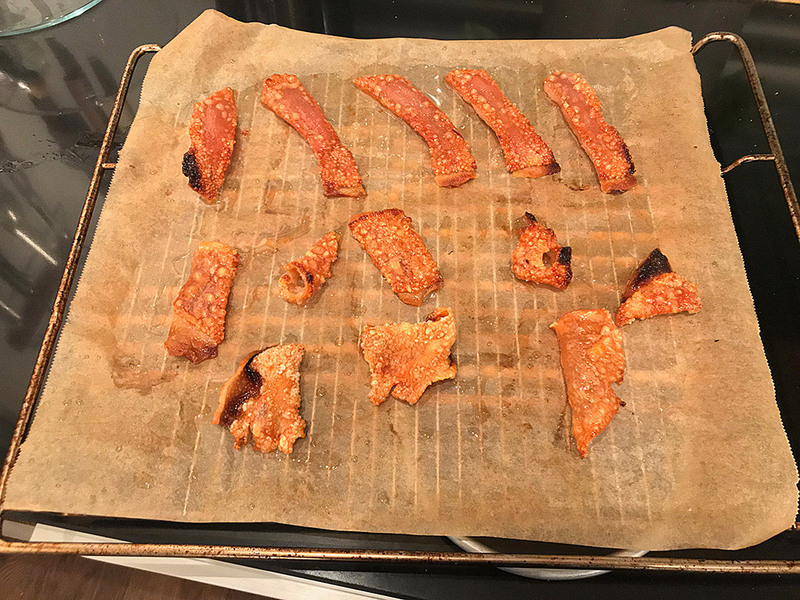 I also bought skin-on pork belly for bacon curing this time and made pork rinds from the cut-offs. 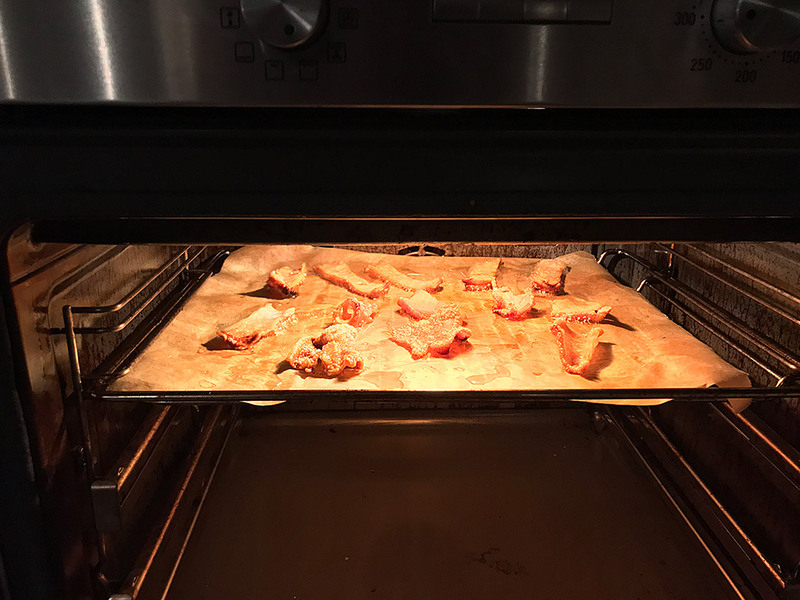 Nothing simpler than that: Heat your oven on “broil” to about 250 – 280 °C. Put your pork skin pieces onto a rack and salt them “as you would salt a roast” (statement of the sales lady at the butcher shop). Leave in the oven for about 15 minutes, turn over and grill for another 10 – 15 minutes more – until they’re crisp and blistered. Delicious. Yesterday’s Dinner for two. I should really work on the presentation, but – man! – this was delicious! The sous vide gadget makes sure the duck breast comes out perfectly, pink in the middle and absolutely not overcooked. I really like that thing! The fat side was seared in the pan and glazed with a mix of sherry and honey. 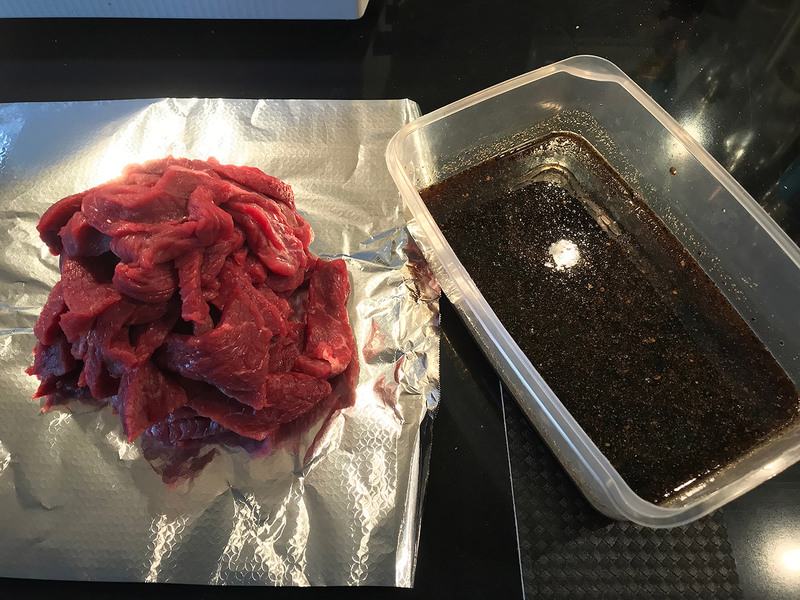 The sauce was a reduction of red wine, balsamic vinegar, garic and honey. This was serious work, but it was absolutely worth the effort. 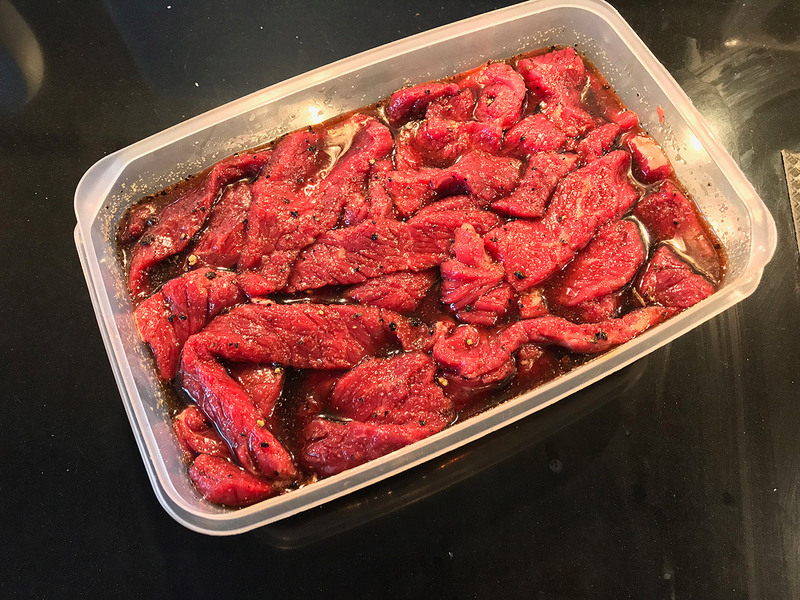 I made a new batch of meat for curing and smoking. 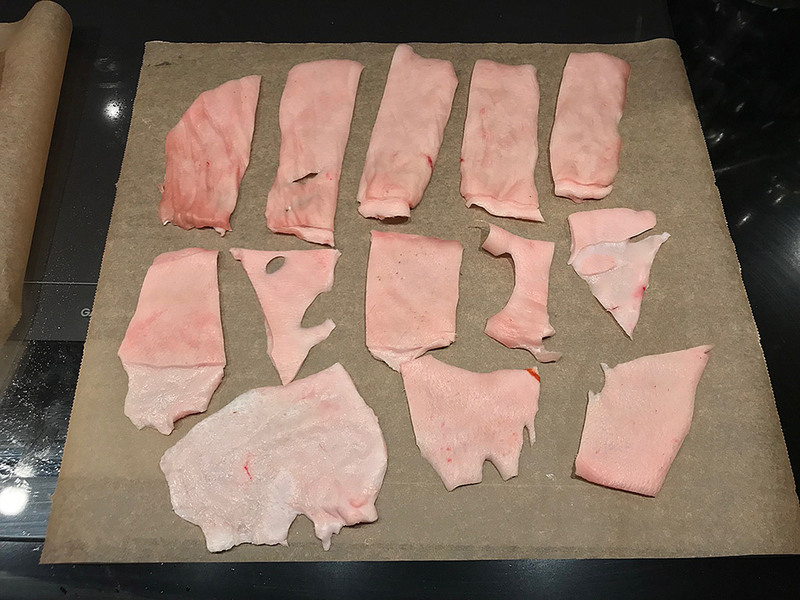 This time I will make two sorts: My standard cured pork (right side) like I already did several times. They’re about 700g each, so I’m planning to smoke one of them after curing and dry the other one. 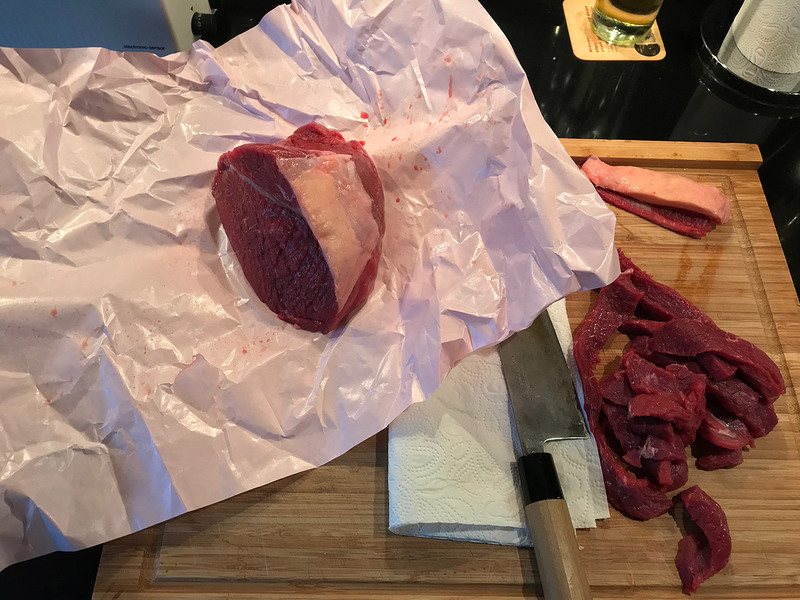 The other type is “Bresaola” – cured and dried beef. It’s been cured with red wine for 24 hours and is now being cured with salt, sugar and herbs in the fridge. After that It’s going to be dried. Dug out my slow cooker again yesterday after some time and made some pork neck. I don’t know where I got this recipe from anymore, but I really like it every once in a while since it’s very yummy and easy to make. The meat comes out fork tender and juicy and it has a nicely round and savoury taste. 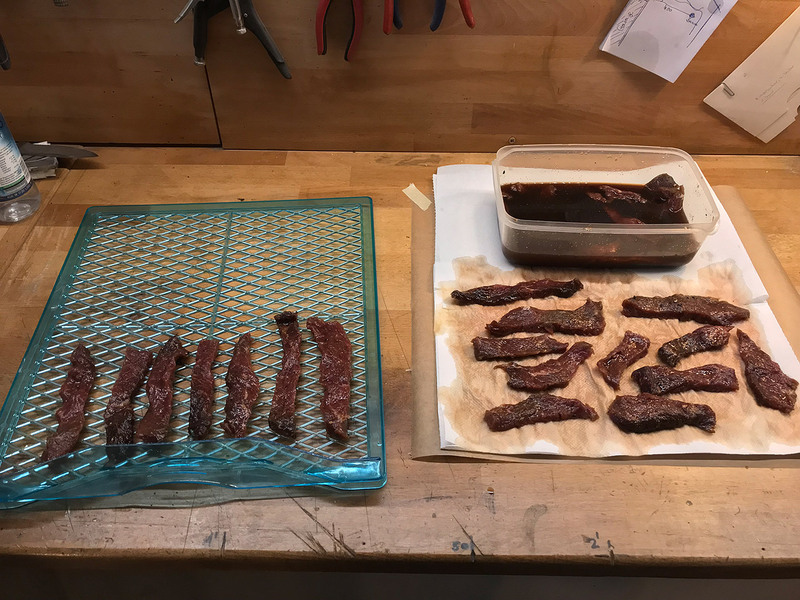 I made beef jerky again, this time Teriyaki-style. 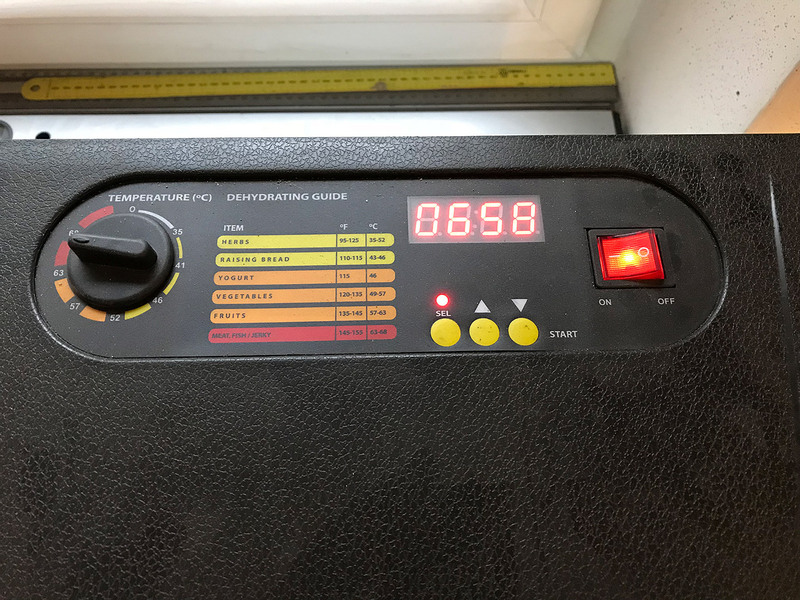 Also, meanwhile I have “professional” Dehydrator that does a real good job and that has temperature control as well as a timer for “fill and forget”. Eventually, I seem to get the hang on it. The latest piece turned out beautifully. 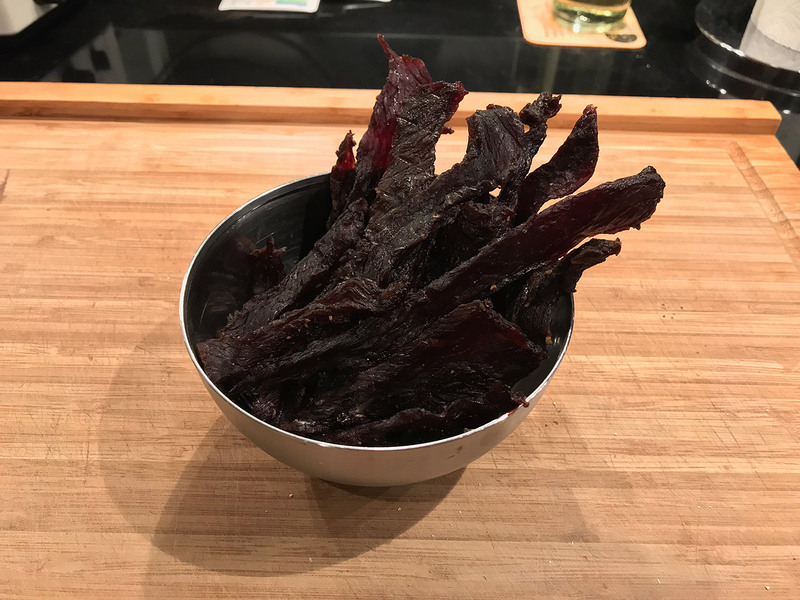 After smoking it thoroughly with the cold smoker and hanging it in the fridge to age for about four weeks, I recently gave it a try and I really like it. Tasty, not harsh, rather mild and the fat melts in your mouth. Luckily, I wrote down what I did precisely, so I can (and will) repeat.